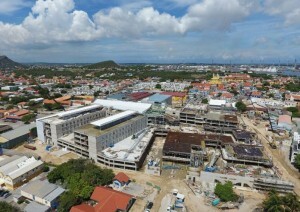 WILLEMSTAD - The development organization SONA will receive the financial administration of the new hospital project from Berenschot. This is the outcome of a lawsuit filed by SONA on Thursday. Based on this outcome, SONA can now prepare the annual accounts, as requested by the Minister of Public Health, Suzanne Camelia-Römer. The Minister said recently that SONA will transfer the whole project to a new agency. The Minister does not want to work with Berenschot anymore. SONA has not confirmed this yet.